Discussion in 'Player Groups & Guilds' started by EmperorBorg, Aug 1, 2016. Voice Chat: Discord as primary (invite link) and Teamspeak as backup is available. We seek a dedicated Farmer (Livestock) to handle our Leather working and work with our hard working Cook/Baker to maintain our provisions and reserve stock house full for dire times. Additionally, we seek a Wizard to construct and maintain an apothecary and library of dark arts magic. The Garrison of HONOR HOLD is charged by Lord British to maintain a strong southern presence on the road north of Brightbone Pass and the Necropolis. As in ages ago during the Undead War The Hold kept the forces from Necropolis from succeeding to reach the rich fields, farms and areas south of Brittany as they sought to plunder and eventually reach Brittany walls. For those members who cannot afford a row house there will be lodging within the Garrison or apartments for rent (when mechanics in-game allow). There are several Row houses that will be available for players who choose to live within the HONOR HOLD lands. As we expand our HOLDFAST to VILLAGE and continue growth with player, guild and IDLife support....more and more housing will be available. 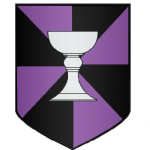 We will be the home of The Hall of Registry and an office of The College of Arms that will coordinate and work with the official realm JOUSTING Tournaments, Leagues and Championships. Royal Jousters, Noble Jousters, Guild and City Champions will compete across a variety of tournaments scheduled. Here the records of the realms greatest Jousters will be on display as well as past champions of the 2 Great Houses...>House of Lord British and House of Lord Darkstarr. We will conduct events using the base of Eastern Time Zone scheduling. NO DRAMA LAMAS are tolerated.... we are too old for silly stuff and most of us work and deal with that there..... this is our fun time. Send in your application by the link below (requires registration on TheHonorEmpire.org) ..... and lets get started... what role do you want to play? Mata, Roycestein Kaelstrom, Schneider DragonFang and 1 other person like this. The Honor Empire turns 19 Years old today!!! Whether it has been recently (Georges St. Pierre) or those that have been with us from earliest days (Wolf and Martok)....we have adventured across many a land, world, galaxy and universe. Together we have shared victories and defeats, laughter and heated conversations, births of children and deaths of brethren. No matter what the challenge though we faced them with great vigor and have accomplished what many never come close to.....building an everlasting guild of friends.....a new age family. A combination of many approaches to game play; from the righteous to the dark forces always finding the place that we could rally around....true commitment to each other in whatever the challenge. A strong and unbreakable bond that reaches beyond the pixels and cables to the real world where we meet and maintain friendships across the years. I am so very lucky and feel greatly fortunate to have met all of you and to this day call you friend regardless of how long it has been since we adventured in-game or spoke in chat. While the time still moves forward and memories may begin to fade; it always has been our hope that this website would be home for you to record those memories in pictures or stories so they would not be lost to the ages and vapors of time. As this memo reaches all of you I hope you enjoy a moment of reflection on a great memory and time together. Many game engines failed or fell to the ages of time and technology. BUT....There are many more to come as the engines of adventure keep moving forward. Even in our first world of adventure Ultima Online, PGoH still stands and maintains protection of Trinsic....to the CLAN SKULLCRUSHER, the great horde power within Argent Dawn Azeroth...amongst the stars of the Old Republic still some guardians still stand in VIGILANCE. Now the Empire builds a new home for adventures within the walls of Honor Hold, a city in Shroud of the Avatar we actually own and manage. The Honor Empire still grows and you are one of many!!! Have a soda or cake today......nay......PIZZA and BEER in celebration of your 19th Birthday!!!! heheh your finally old enough!!! Mata, Schneider DragonFang, Balandar and 1 other person like this.